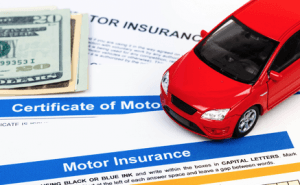 If you let your auto insurance coverage Lapse it doesn’t seem to be that serious of a matter on the surface. It is not only illegal to drive without insurance; it can also have much more serious consequences than a ticket for driving without insurance. A lapse in auto insurance can have far-reaching results with the potential to affect your entire life. All drivers are required by law to carry a minimum liability policy in order to get behind the wheel. This protects all of the drivers on the road by ensuring that in the event of an accident, the at-fault party will have insurance to pay for the damage and in some cases have to carry a sr-22 filing. If you think you can’t afford to pay your insurance premiums, then you really can’t afford not to pay them. If you are involved in an accident where you are found to be at fault, and there is no insurance to pay the damages, you will be responsible for the first 10,000 dollars if you cannot they will suspend your licence. In a more serious accident with a lot of property damage and injuries, this can add up really quickly. You may not have the thousands of dollars to pay the bills, but with a judgment against you your wages can be garnished and other assets placed in danger. Not paying that insurance premium can lead to paying off a huge amount of money for the rest of your life. Some insurance companies won’t even take a driver who does not have previous insurance, while others will simply charge you a higher premium. A lapse in your old policy can mean that you will no longer qualify for the rates you were getting before. You may lose discounts including longevity with your insurance company, or be treated as a higher risk to the company. You may also have to make a new down payment or pay reinstatement fees. It can take a while to work your way back up to getting the better rates reserved for the company’s best customers. Some insurance companies may also have a limit on the number of times you can lapse before they refuse to reinstate you. A lapse in your insurance policy can be much more costly than had you simply continued to pay your premiums. If you are having trouble paying your insurance bill, talk to your agent about ways to reduce your prices, rather than allowing a lapse to occur in the first place.